We’ve all been there, angry as grr over something our kid said, did, or didn’t do. In an instant, our head begins to pound and our blood begins to boil faster than we can reign in our angry emotions. 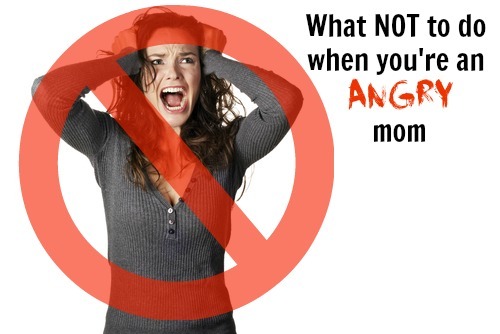 Anger’s part of the parenting job, so what’s a mother to do? We have a few ideas, but before we tackle methods of anger management, let’s take a moment and focus on 5 things we shouldn’t do while feeling hot under the collar.